Taking a keen interest in animals from a young age, Allie has been active in the pet and training community for the past 5 years. After taking classes with her own rambunctious rescue dog and being amazed with the results, she decided to learn as much about behaviour as possible through seminars, research, and all the books she could get her hands on. Allie combines her desire to help people with the knowledge and experience she’s gained training dogs to help bridge the gap in communication between person and dog. Always striving to better herself, Allie is a member of the ADPT, as well as Walks and Wags Pet First Aid certified. She’s currently working towards her CCPDT certification and is always happy to discuss anything dog or behaviour related. 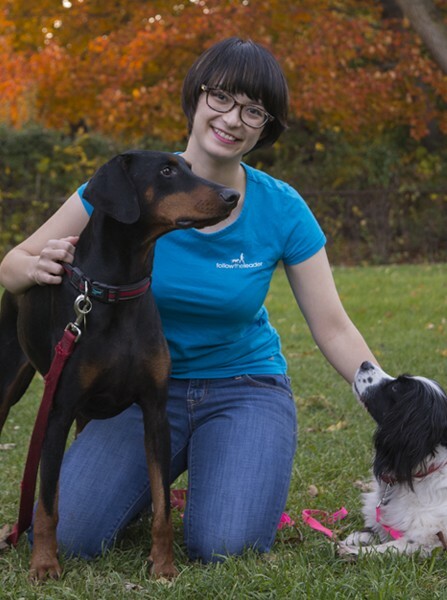 When not snuggled up with her own pets or a good (dog) book, Allie can be found assisting classes and helping out owners.